A meeting can be successful only if it is properly planned and prepared. An organized meeting is often looked forward to by the junior as well as senior members, and a blank meeting agenda template makes the process much easier and faster. 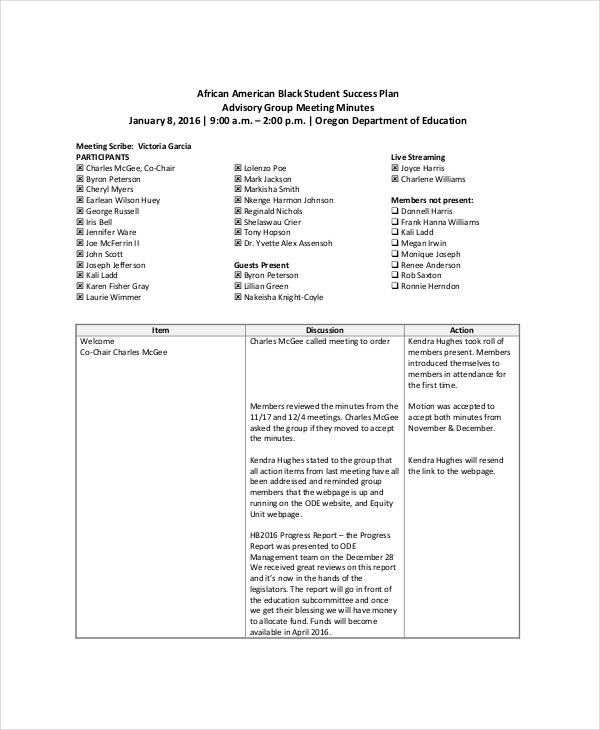 You can also see School Agenda Templates. 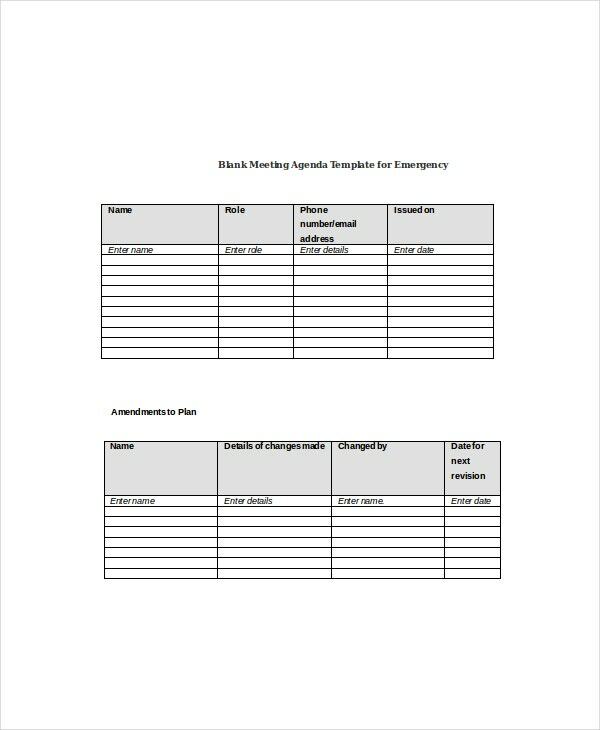 This template allows you to make a sequenced list of things that need to be entertained in the meeting. A meeting agenda is often given to the participants before the meeting starts, with an aim to inform them about all the topics that will be covered in the meeting. 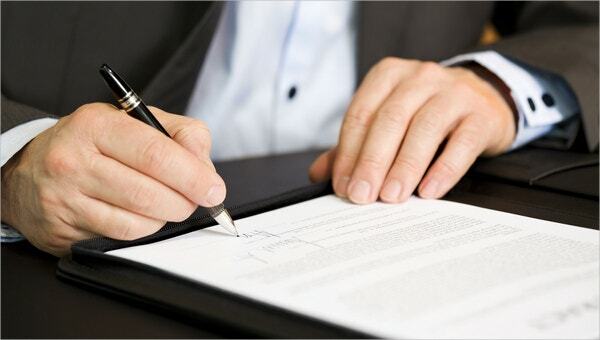 Many businesses run in partnerships, and the business partners need to meet often to discuss the business operations. 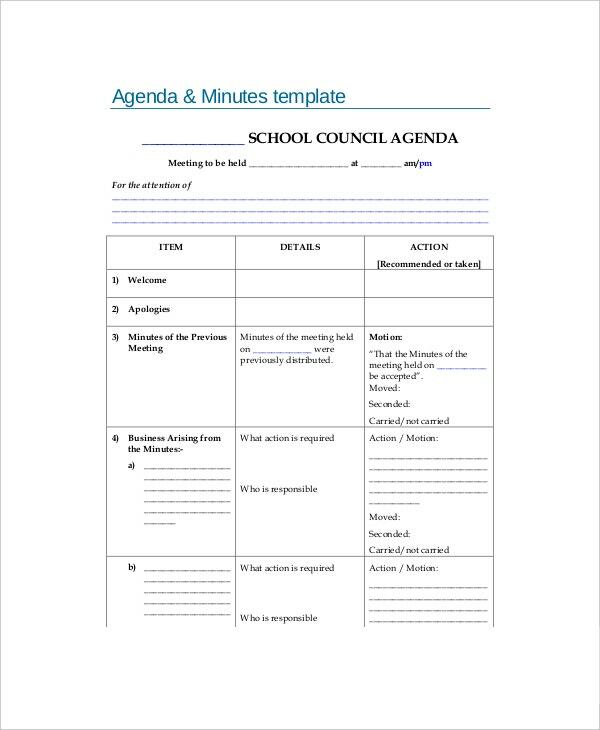 A blank meeting agenda template for partners allows even a novice to create a perfect agenda for the upcoming meeting. Senior officers assign tasks to junior ones, and they need to make their presentation in staff meetings. 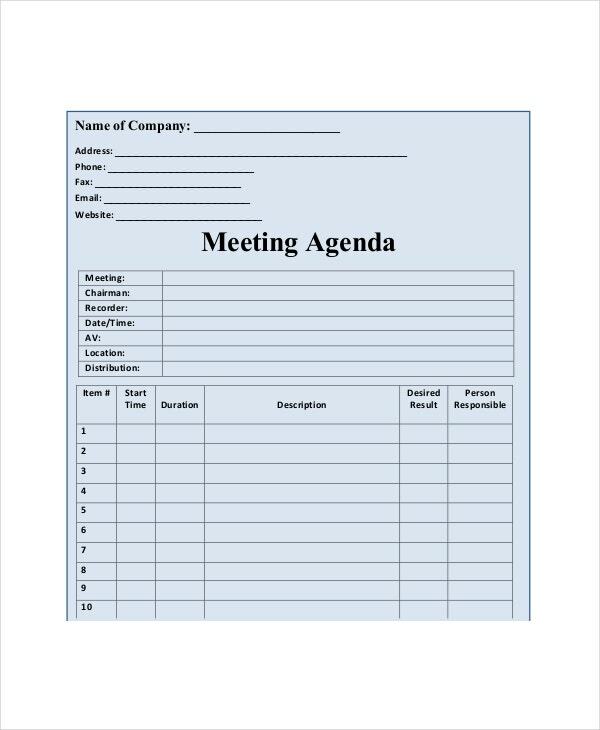 Use a template to make an agenda for such meetings, so that all the important things are covered in a single meeting. Even if you call monthly or weekly meetings, sometimes you need to call emergency meetings to discuss important matters with your people. A template can help you to create an agenda quickly for such meetings. Many families call weekly family meetings to stay in touch and discuss family matters. Often, these are the times when family members spend some time with each other and converse about their problems, misunderstandings and confusions. Kids are instilled with family values and traditions during these meetings too. So, a blank meeting agenda template allows you to call this meeting in an organized manner. You can also see Agenda Templates. 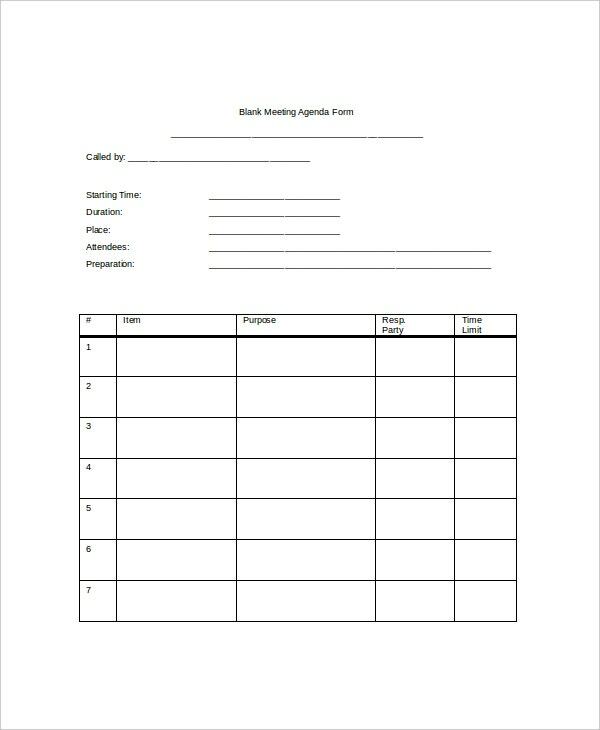 Main components of a blank meeting agenda template include the date, time and location of the meeting, its purpose, the list of topics that need to be covered in the meeting, time assigned for each topic and the result expected from the meeting. 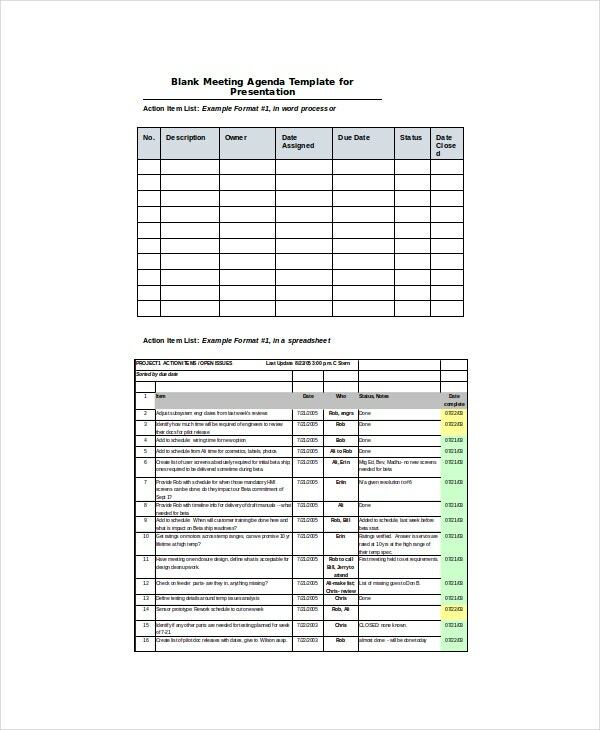 You can either hire an expert to draft a meeting agenda or do it yourself by using this template. 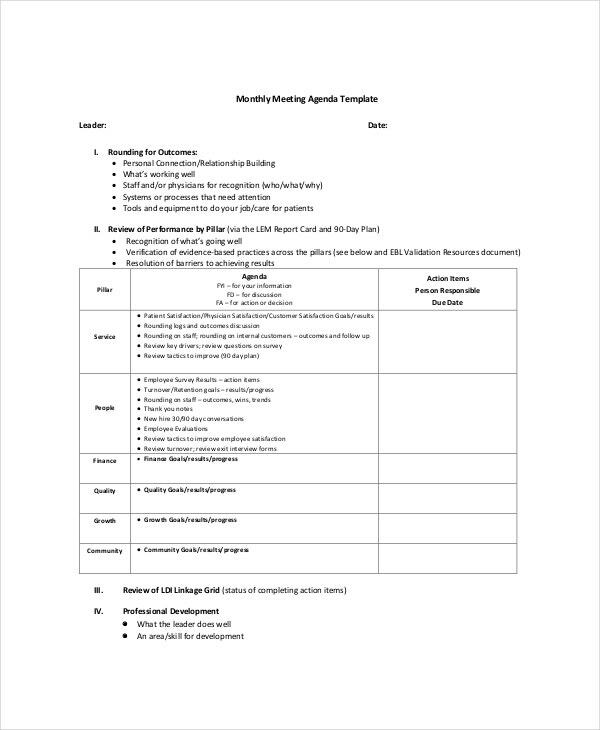 A blank meeting agenda template helps in creating a perfect agenda for an upcoming meeting. You can download a template from here, fill in the required details and customize it accordingly if needed. Now, you can distribute this agenda among the participants of the meeting, and expect them to come prepared for the topics to be covered. You can also see Agenda Planner Templates.